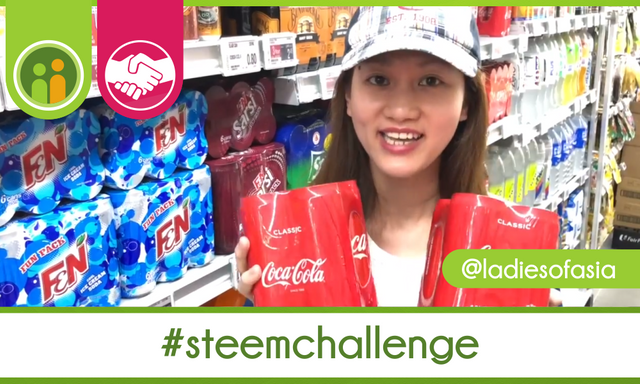 This entry is quite unique because 6 ladies from 6 different countries have come together to participate in the 5 STEEM Challenge. @LadiesOfAsia have showed us how much 5 STEEM is worth in their countries and how many Coca Cola Cans a person can buy. Intro is given by our very own @Livinguktaiwan who has been featured once already when she did the solo 5 STEEM challenge in a beautiful Taiwan Park. Please check the video here. Please watch the video to find out who got the most no. 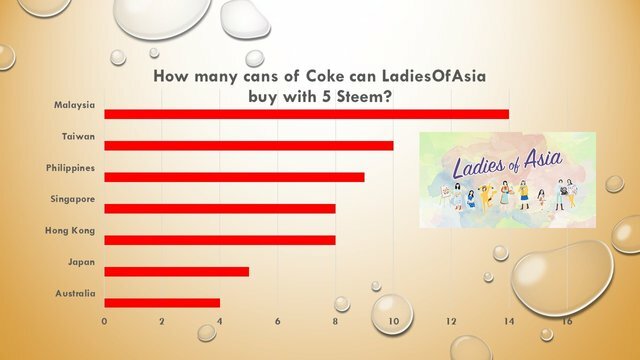 of COKE CANs from 5 STEEM in these countries. Thank you so much to all the pretty ladies of Asia! For this amazing entry @ladiesofasia will recieve a vote from @fundition and also 2% of the rewards from this post! @Promo-mentors and @Fundition have teamed up to create awareness of Steem and the Steemit community by challenging people around the world to come up with creative ways to spend 5 Steem! In today’s prices 5 steem is about 4 US dollars. We don't want to send out the wrong message that everyone can become rich from Steemit, but just that Steem is here, that it has real monetary value, and is here to stay! Every 2 weeks on Sunday we gather in our online Discord group to talk about the featured submissions and vote for the top 3 Steem challenges. Winners will receive 5 Steem each! We are grateful to @ladiesofasia for sharing such awesome 5 STEEM Journey and to @fundition for partnering with us on this challenge! Your UA account score is currently 4.240 which ranks you at #2752 across all Steem accounts. Your rank has improved 11 places in the last three days (old rank 2763). In our last Algorithmic Curation Round, consisting of 275 contributions, your post is ranked at #236.